We miss Lucy. We miss her wagging tail hello when we get home, we miss her quiet scratches on the back door to get in, and we miss her beautiful eyes. We know that lots of families lose their best friends, but that still does not make it any easier. John, Courtney, Tom and I can handle our grief. Deep down inside we know we did the right thing for Lucy. We understood her illness was not going to get better and she was suffering. I do not think Alex has gotten to that point yet. 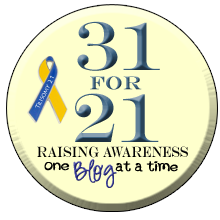 I have always advocated and will always advocate for Alex in terms of others' perceptions of her cognitive abilities. 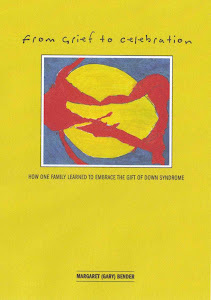 I do not believe anyone should be judged by their diagnosis and Down Syndrome is no exception. I try never to underestimate her and find myself having to remind her teachers to raise their expectations. When she puts her mind to something - it will get done. In this case however, I am in uncharted territories. I do not know how Alex processes grief. The only death we have had in our family was my father's 8 1/2 years ago. Alex still talks about "Pop" and misses him, although she was only seven at the time. Perhaps, just like everything in Alex’s life, this type of processing takes just a bit longer. Alex talks about Lucy all the time, she says she dreams about Lucy and she still cries. She tells me she has stomach aches and her head hurts. As we discovered earlier, distractions are good and we use music, crafts and that horrible television. At this point, I am willing to use anything - except food. In one of my potentially misguided attempts to distract Alex - I set her up on facebook last night. I found Alex's friends and sent out the requests before we logged in. I am curious how she got twenty friends in about three minutes and it took me about three weeks. But I am not surprised. Once I showed Alex how to log in she was all set. In a matter of minutes, Alex was laughing with glee seeing pictures of her friends and family from all over the country. She had a great time "talking" to her friends. Maybe she dictated to me and I typed, maybe. Alex can type - but she did ask me to help - so I did! This is my very covert attempt to monitor her facebook activities, as facebook does make me a bit nervous with my kids. I have insisted my other kids "friend" me - but somehow every couple of weeks they secretly "unfriend" me. This is a running battle in our family. There was no conversation about Lucy last night. Perhaps I was not so misguided after all. Sometimes I surprise even myself. Once again, I am perplexed and amazed by my remarkable daughter. She feels things so deeply and acutely that it can make her sick. But then she bounces back and laughs and smiles. I do need to talk about Alex’s contagious laugh at some point in the future. It is magic. 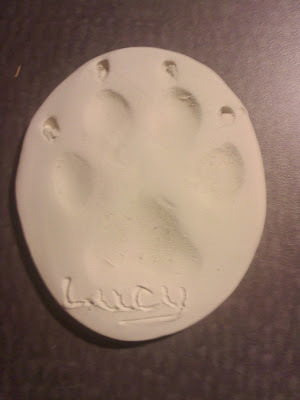 We will all mourn Lucy for a very long time. Alex will mourn her the longest. If you happen to meet Alex in 10, 20 or 30 years – I am warning you – do not mention Lucy. Alex has an extraordinary mind, just like a steel trap. This really hits home. We just put our dog Sugar down as she was having seizures and we knew she wouldn't get better. Beth misses her and talks about her a lot. I think you might be right, it will just take longer for Alex to go through the grieving process.